Making Sure 18 Kids Have a Merry Christmas! 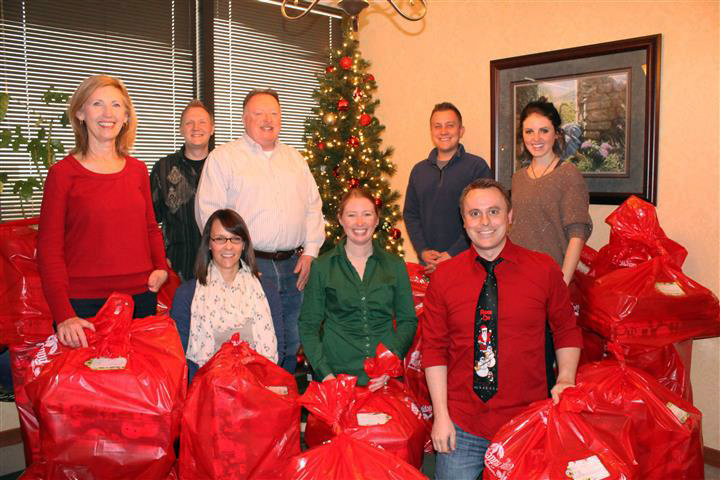 [PICS] « Home Rental Services, Inc.
We partnered with KVC again this year to adopt 18 children that normally would not receive presents for Christmas. KVC Kansas is a private child welfare provider to Social and Rehabilitation Services (SRS) of Kansas. In addition, they provide a wide array of services for children and families throughout the state including foster care, adoption, outpatient and inpatient behavioral health care. 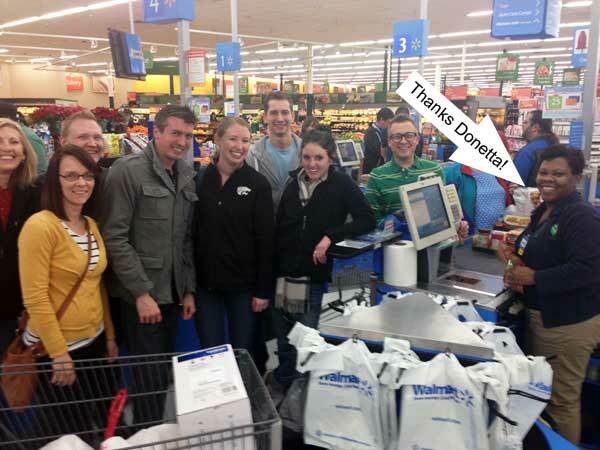 The fun begins with an all-hands-on-deck meeting at Wal-Mart where our Home Rental Services team runs around filling shopping carts with things from the wish lists of the kids. After the shopping is done, we go to dinner together. This year, we all went to Red Robin at 95th and Metcalf and enjoyed some great burgers, fries and onion rings together. 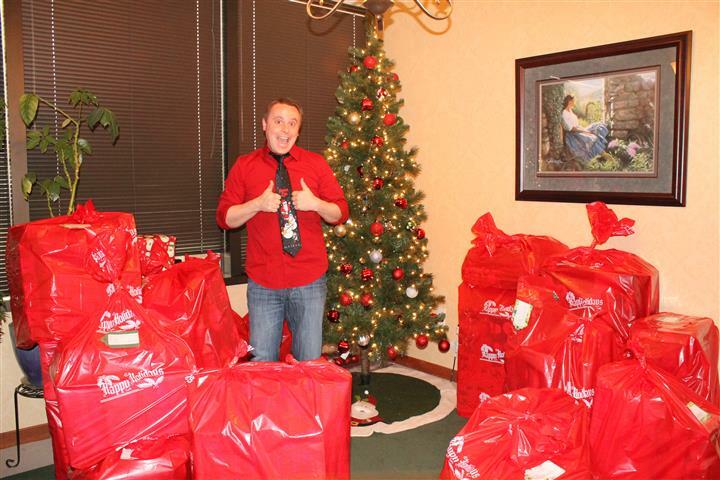 Last Friday, we set aside time in the office to wrap all the presents as a team. David and Melissa took time to set up the picture (it was hard to get the people and presents in the shot!) That is why we included the funny pic of David as a thank you. Also, not everyone that participated was able to stay around for the photo… everyone in our office helped at some point, so thanks to our team for their efforts! We enjoy making a difference for our adopted kids that need to be reminded that they are loved. 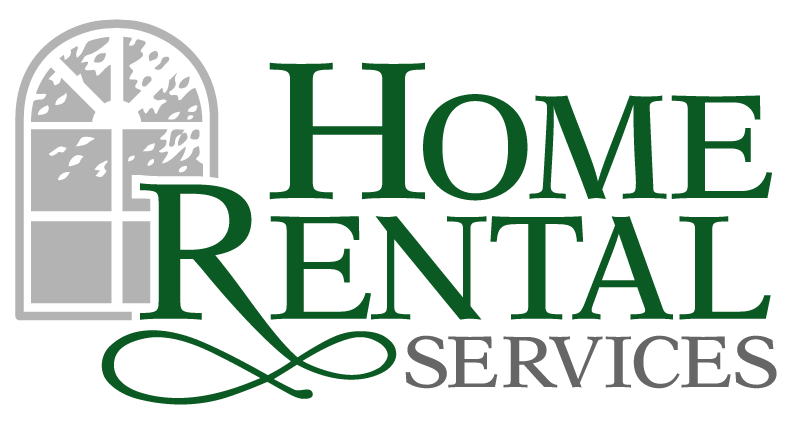 It is a team building experience for everyone that works at Home Rental Services. It is also a great reminder to have perspective as the year comes to an end. It isn’t all about presents and parties. Tell us your stories of giving back or helping kids this holidays season in the comment section below! Top 3 Things To Do With Your Home When Leaving For Vacation!